Today on Games of the Past, we’re not going terribly far back—only to the second half of 2011, in fact—but we are visiting a formula that’s almost as old as gaming itself: the action RPG. The game? Destinia, a free title for iPhone and Android. The story begins when Duke, the hero, refuses to kill some of his enemies, thus making himself a traitor to the Empire. Actually, it begins right after that, when his boss and teacher Kaiser cuts him down and sends him to prison for this treason. Fast-forward to the princess of the victim nation and her cohorts, coming to the prison to break out their buddy, and finding Duke in the process. After a bit of necessary cooperation, Duke becomes more or less friends with this group, and spends the rest of the game warming up to the idea of joining their cause. Get your save files ABSOLUTELY FREE! Limit one per class. When you boot up Destinia, you’ll be asked to choose your class: Warrior, Gunner or Thief. Unlike just about any other RPG you can think of, these options double as your save files—you can have one character of each class at any given time. Soon you’ll be running around dungeons, forcing your way through hordes of enemies, in a classic hack-and-slash (or shoot-em-up, if you chose Gunner) style. In crafting your personal method of clearing a room, you’ll combine basic attacks with movement and a growing collection of skills. These skills can be dash attacks, area strikes, stun attacks, or just plain damage dealers, along with many other effects. There’s even a whole range of Aura and Shout skills to buff you and debuff your enemies. Which brings me to the stats and customization. As you level up, you gain new skills, and in addition to your base stats increasing, you also get stat points to add onto them. Every two levels you’ll gain specialty points, which can be used on two basic trees for skill upgrades or further stat boosts. The list of little options to improve your character goes on—for quite a while, in fact. Get used to this. You’ll see it a lot. Of course, your stats are also affected by your equipment, which has an impressive amount of choice to it as well. 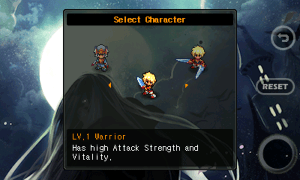 Not only that, but each piece of equipment appears as a unique sprite attached to your character. It’s a very neat touch for such a small game, although they don’t always quite match what they’re supposed to be—the Scale Hood looks like a bear’s mouth hat, for instance. The game mostly plays out through basic quests and combat, and herein lies one of the problems I have with this game: all of these quests involve either killing a certain number of enemies or collecting their drops. The areas have no chests or other points of interest—just enemies and NPC’s. After a while, doing nothing but killing repeatedly gets a bit tedious, especially later in the game when it turns into full-fledged grinding. The game presents most of these quests as optional, but you’ll basically have to do all of them in order to be on level for the boss fights. These are the highlight of the game, in my personal opinion. Depending on your class, you’ll have to come up with specific strategies to dodge all of the bosses’ attacks while constantly working away at their health bars. Several of them teleport or fire extremely damaging projectiles, and late in the game you’ll find several places where you must fight two bosses in a row, adding even more to make these moments the height of the gameplay. You won’t be blown away by the looks of Destinia, but you won’t be disappointed, either. It’s just an anime-style 2D sprite game with backdrops that, while pretty, are nothing all that special. 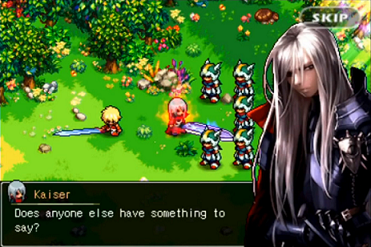 The visuals do seem pretty sharp, although the in-conversation portraits of characters can be a little bit pixelated. And, as I mentioned above, your equipment showing up on your character is pretty cool. I tend to play this game with the sound off. Why? Well, the effects are decent—just about what you’d expect—but the music is just, well, repetitive. To my knowledge, there is one overworld theme, one town theme, one dungeon theme, and maybe a few other tunes for cutscenes. Unfortunately, the developers didn’t see fit to put in any variety. In fact, even when you get into boss battles—the most exciting moments in the game—you will continue to hear the same plodding dungeon music that you’ve been listening to for the last several minutes while exploring. Talk about a mood kill. 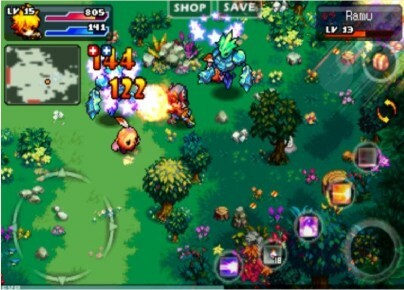 When you finish the game, you are sent to “Hard Mode,” which is essentially a New Game Plus where all the enemies are 50 levels higher than before. Still, it’s worth trying the game out with different classes to get to know their skill sets, which diverge more and more as the game goes on. The “Multi Mode” allows you to go online and interact with other players. In the arena, you’re matched up with other players of the same level, and you battle them for Honor Points, which can be spent on special items. You can also go to the Auction House to buy and sell items from other players for in-game gold. In the end, Destinia is pretty much what you expect from a free mobile game, especially one with a relatively small download file for an RPG. If you enjoy extensive character building in the vein of typical MMORPG’s, you can at least count on that being a wonderful aspect of this game. Everything else, though, is just… mediocre. Review copy supplied by author. 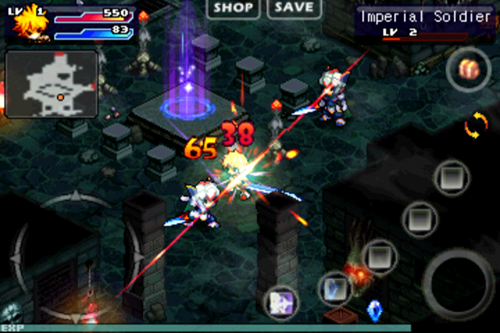 This review is based on the Android version of the game.